The first time I heard this song I cried so hard I had to pull over (I was in the car). Here’s Mary Lambert singing “She Keeps Me Warm”. Have your tissues ready and then go hug somebody! And here’s a bonus video, “Same Love”, by Macklemore and Ryan Lewis. This came out in 2012 and Mary Lambert wrote the chorus which she later used in her own, full-length song. This is a beautiful video. I don’t understand why some people just don’t get it. Stay strong, LGBT people. 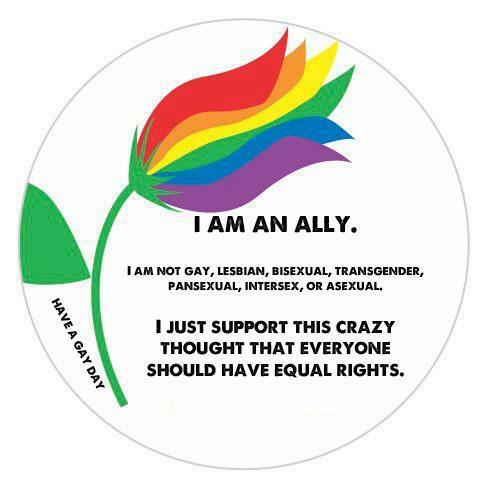 I’m honored to be an Ally. This entry was posted in Wednesday Videos and tagged Lambert, Lewis, LGBT rights, Maklemore, Mary Lambert, Ryan Lewis, Same Love, She Keeps Me Warm, straight ally, Valentine's Day for LGBT, youtube.